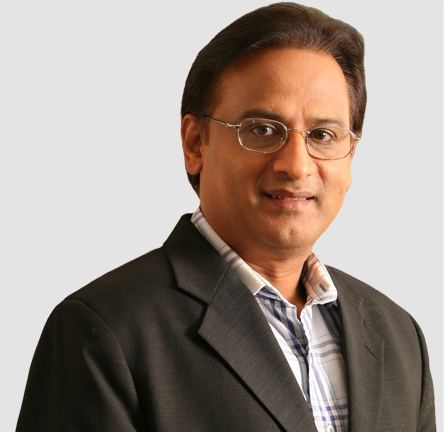 Prakash Bajpai has a rich 34 years of experience in IT and Telecom Industry. He has been instrumental in building and leading organizations and business with revenue of more than $ 2 billion. An engineering graduate from Delhi University, Prakash started his career with IBM as an electronics engineer. He then moved to Phillips, where he was involved in the launch of color TV transmission in India. He was one of the first few employees of Tata Telecom. His experience cuts across geographies as he worked with AT&T Network Systems in the US. Post returning to India, he spearheaded the Marketing, Sales & Network Planning activities at Tata Lucent Technologies. He then joined Hughes Telecom as President & CEO where he pioneered India's first Integrated Broadband Network in Maharashtra & Goa. He also led Hughes Telecom to launch India's first IPO (US$ 225 m) in the telecom sector. Prior to launching Tikona, Prakash was the President and CEO at Reliance Communications, where he was responsible for the Broadband, Enterprise, Data Center, PCO and DTH businesses of the company.